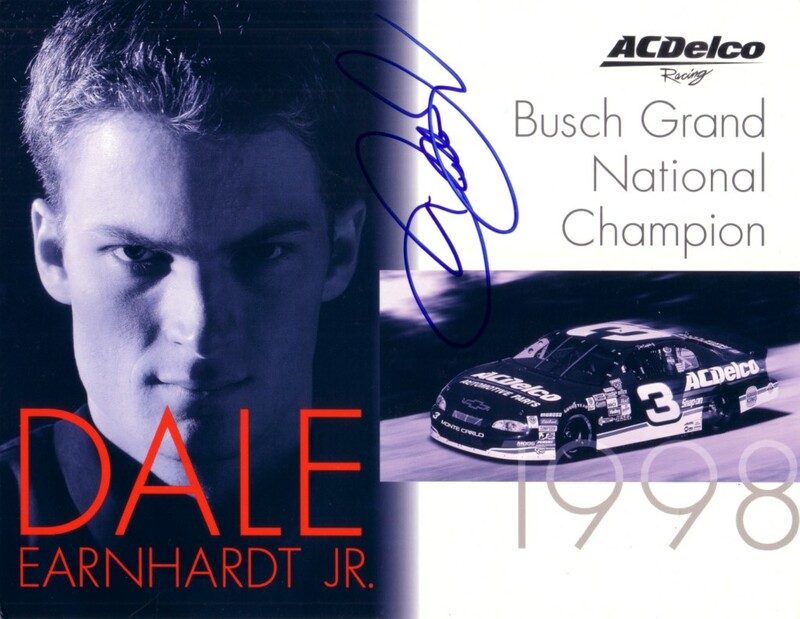 8x10 photo card issued in 1998 to commemorate Dale Earnhardt Jr. winning the Busch Grand National Championship, autographed by Dale Jr. in blue marker (sideways but with a more legible autograph than he currently signs). NOTE: there is a minor dent on the reverse side of the photo visible only upon close inspection. With certificate of authenticity from AutographsForSale.com. ONLY ONE AVAILABLE FOR SALE.